The quality sleep and comfort you deserve starts with this Euro Top mattress. 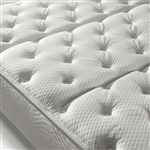 Within the mattress, multiple layers of Super Soft foams create an incredibly comfortable and plush sleep surface. This model features a layer of Memory Foam that conforms to your body, enhancing the comfort and relieving areas of pressure. The exclusive Marvelous Middle is found in the center third of the mattress, which helps increase body support, mattress durability and resiliency. The SuperEdge Plus surrounds the entire perimeter of the mattress, giving you the full extent of the sleep surface to spread out on and strengthening the edges to prevent roll off. The SPIRALOK innerspring technology reduces motion transfer to eliminate partner disturbance and roll-together. The ComfortCare Carmona King Euro Top Mattress and Foundation by Restonic at Town and Country Furniture in the Hamburg, Buffalo, Lackawanna, Eden, NY area. Product availability may vary. Contact us for the most current availability on this product. ET-K King Euro Top Mattress 1 13"
CCfdnK King Comfort Care Foundation 2 9"
Mattress Construction Marvelous Middle Posturization: More coils are concentrated in the center third of the mattress for 25% more support, extended durability and resiliency. Coils and Support Tempered Steel Coils for added support and durability. SPIRALOK Technology links the coils head-to-toe to reduce roll-together. This technology helps you to sleep undisturbed by reducing motion transfer. 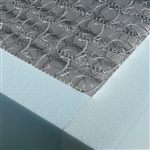 Edge Support SuperEdge Plus: High density foam encasement surrounds the innerspring system, extending the sleep surface to the full 100% with enhanced edge support. Foundation/Box Spring Comfort Care Foundation features a heavy duty construction built from renewable wood. Fire Barrier Information Flame Fighter Fiber provides protection from fire. Note: Mattresses manufactured for sale in Canada are not required by law to have fire barriers. Give yourself a restful night's sleep with the ComfortCare Collection from Restonic mattresses. Featuring the "Marvelous Middle," ComfortCare mattresses have additional comfort layers in the center third. This helps to increase body support, mattress durability and resiliency. The center of each mattress concentrates more coils in the center third for 25% more support to prevent mattress sagging. The High Density Foams surround the perimeter of the ComfortCare innerspring, providing a 100% sleep surface and enhanced edge support without breaking down over time. 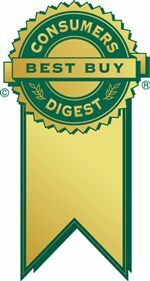 The entire ComfortCare line has been honored with the Consumers Digest Best Buy™ Award based on eight criteria: performance, ease of use, features, quality of construction, warranty, efficiency, styling, and maintenance and service requirements. The ComfortCare Carmona collection is a great option if you are looking for Mattresses in the Hamburg, Buffalo, Lackawanna, Eden, NY area. Browse other items in the ComfortCare Carmona collection from Town and Country Furniture in the Hamburg, Buffalo, Lackawanna, Eden, NY area.